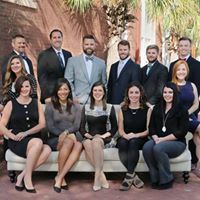 Please join us for an afternoon of fun to welcome the warmer weather back to Columbia! 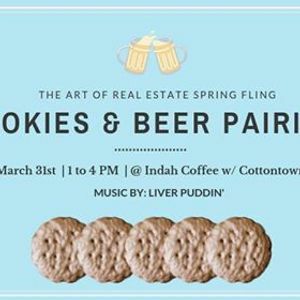 We're changing it up a bit this year, and have partnered with our friends at Indah Coffee and Cottontown Brew Lab to host a Girl Scout Cookie & Beer Pairing! 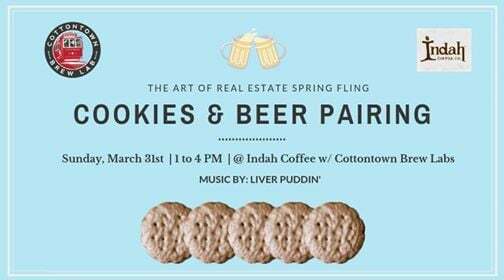 We’ll be at Indah Coffee on Sumter Street from 1-4pm on Sunday March 31st, enjoying some sunshine and local live music from local favorite Liver Puddin'! Grab some friends and a couple folding chairs. We'll be hanging out tailgate style all afternoon & we look forward to seeing you there!